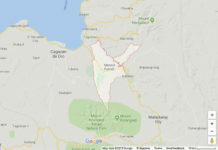 MALAYBALAY CITY (MindaNews/19 January) – Forty persons have been killed in floods and landslides in Mindanao since January 12 due to a low pressure area that later developed into Tropical Depression Agaton, the National Disaster Risk Reduction and Management Council (NDRRMC) said in an update issued at 6 a.m. Sunday. The Davao and Caraga regions posted the highest death toll at 18 each while Northern Mindanao posted two and Western Mindanao, one, the NDRRMC advisory said. Sixty five others were injured and five reported missing in the same regions. The floods and landslides have affected a total of 123,444 families or 567,115 individuals in 635 barangays in 80 municipalities in 15 provinces in Regions 10, 11, Caraga and the Autonomous Region in Muslim Mindanao, the NDRMMC said. Of the half a million residents affected, 33,388 families or 161,808 individuals were displaced and sought shelter in 436 evacuation centers, it added. As of Sunday, a total of 52 roads and 21 bridges in Regions 8 (Eastern Visayas), 10, 11 and Caraga have remained impassable, the NDRRMC said. Damage wrought by Agaton has reached a total of P313,784,368.92 – P101,118,750 for infrastructure and P212,665,618.92 for agriculture in Regions 10, 11 and Caraga, it said. Agaton has also totally damaged a total of 699 houses in the three regions. 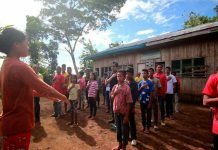 Cateel town in Davao Oriental sustained the most number at 293 houses followed by Tarragona and Lupon towns, in the same province, with 93 and 67, respectively. The total number of totally damaged houses in Davao Oriental has reached 488, the NDRRMC said. 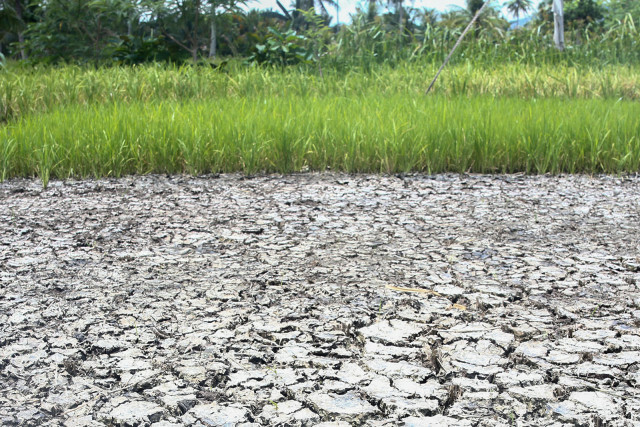 The province, which was hit hardest by Typhoon Pablo in December 2012, has been placed under a state of calamity after floods destroyed millions worth of crops and infrastructure and isolated the towns of Manay, Caraga Baganga, Cateel, and Boston. Meanwhile, the province of Dinagat Islands experienced total blackout on Friday due to heavy rains and strong winds but power was restored early on Saturday. Weather Bulletin 8 of the Philippine Atmospheric Geophysical Astronomical Services Administration (PAGASA) issued at 5 a.m. Sunday said that as of 4 a.m. the center of tropical depression Agaton was estimated at 166 kms east of Hinatuan, Surigao del Sur, packing maximum sustained winds at 55 kph and forecast to move slowly south southwest at 5 kph.